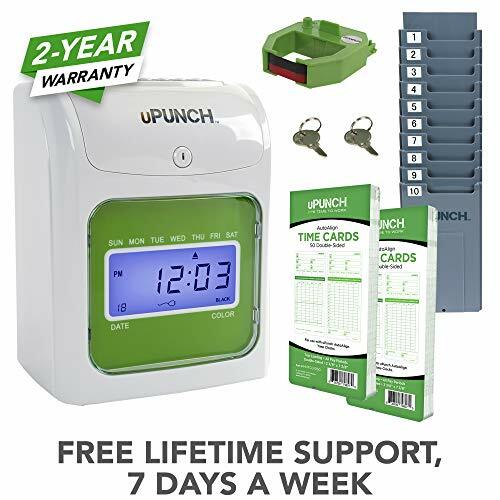 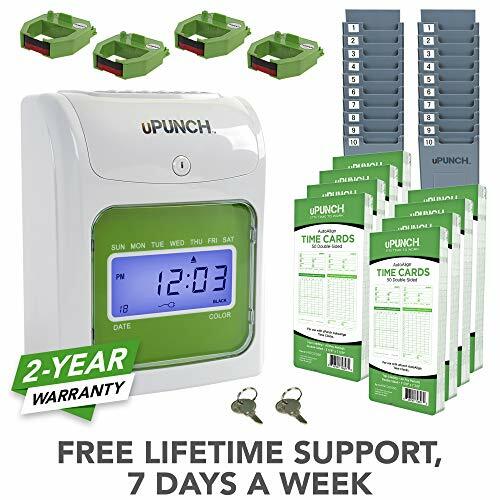 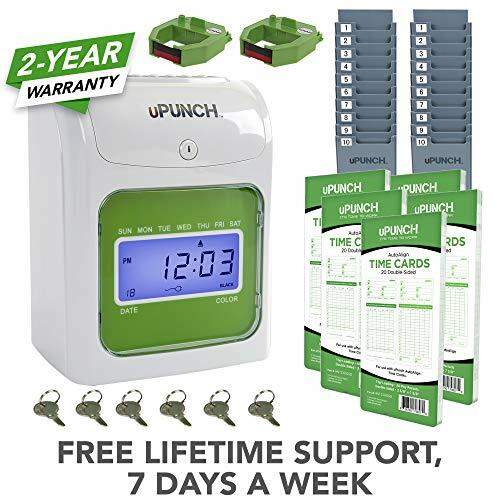 Bundle includes uPunch HN3000 AutoAlign Time Clock, 100 time cards (5 packs of 20), two 10-slot time card racks, two ribbons, and 6 keys (3 sets). 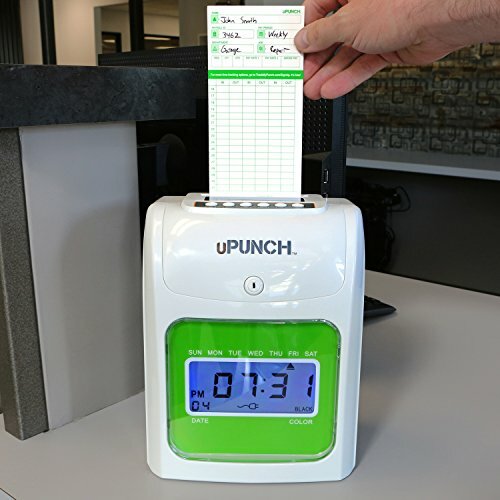 Automatic card feed aligns punches precisely to track weekly, biweekly, semimonthly, and monthly pay periods. 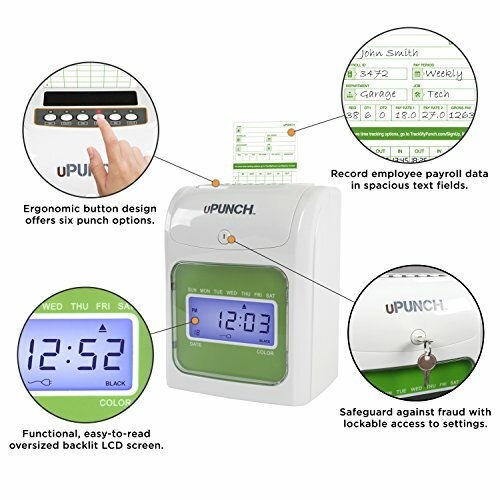 Easily track your employees' start times, break times, lunch times, and finish times with the uPunch AutoAlign Time Clock. 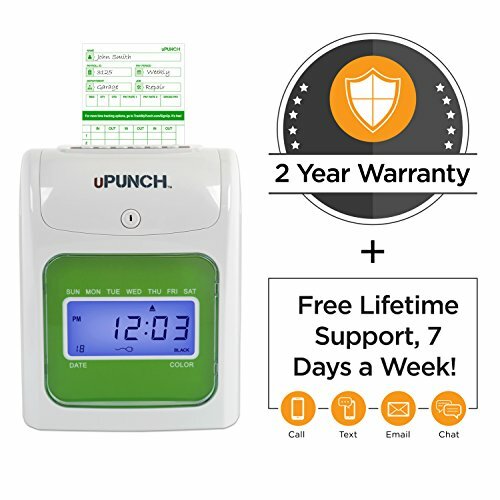 Two-year time clock warranty included, plus seven days a week lifetime customer support. 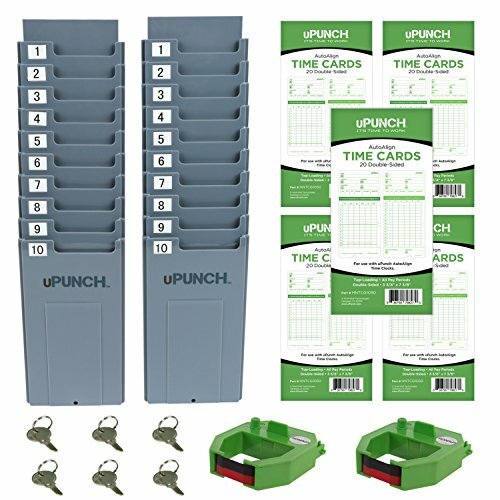 for accurate punching and printing. 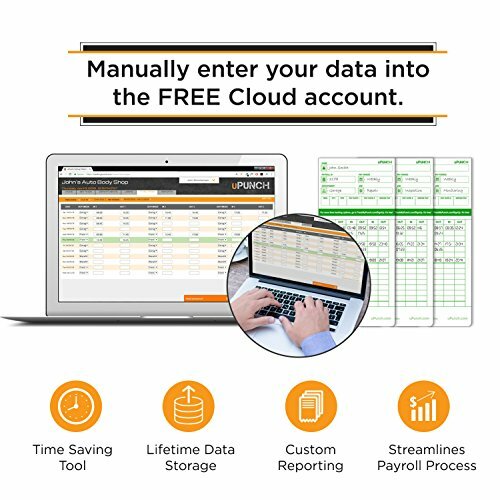 conjunction with our FREE cloud-based software.